We will be offering a delicious 3 course menu at £65 per person for the early seating (17.30 – 19.30) and £130 per person for the late seating (19.45 – 23.00) which includes an amuse bouche and arrival glass of champagne. 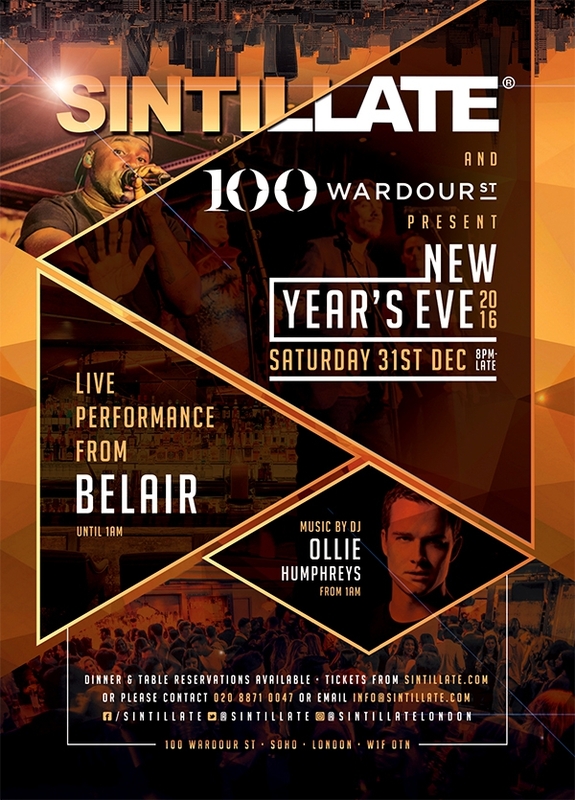 Live music will be provided throughout the evening courtesy of the amazing BELAIR, who'll take you from 2016 into 2017 in true party style! Enjoy the hottest jams from the nineties and noughties through to the current day with BELAIR's soulful vocals, slick raps and soaring horns! DJ Ollie Humpreys takes over at 1am to bring you the best in RnB, Club Classics and Commercial house, ensuring your first few hours of 2017 are nothing short of spectacular! Playing at some of the biggest venues around the world, DJ Ollie Humphreys has made a name for himself on the party circuit, with his energetic performances and ability to read the crowd like no other, you're in for one hell of a night! 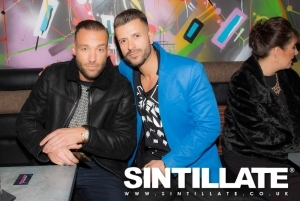 Entry tickets are available from just £25 and tables are available to reserve on a minimum spend basis or alternatively, we have a number of packages available to purchase in advance, all of which include entry and a drinks package with fantastic savings within. 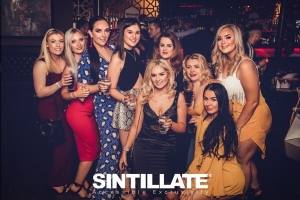 Music: Live Music courtesy of the amazing BELAIR and then Sintillate DJ Ollie Humpreys takes over at 1am to bring you the best in RnB, Commercial House and Club Classics. Please get in touch if you need any further information of if you would like to book.